This is the story of a Jewish boy, Meyer Lansky, who emigrated from a small town in Poland, reinvented himself in New York’s Lower East Side, founded the National Crime Syndicate, broke some Nazi bones and aided his Jewish brothers and sisters in forging a new Jewish state. Millions of Jewish families fled the pogroms in Eastern Europe at the beginning of the 20th century hoping for better prospects in the Unites States. They called their new homeland Di Goldene Medina (the Golden Land). Among the immigrant masses was the Suchowlański family whose journey from Grodno (in today’s Poland) across the Atlantic brought them to Ellis Island. There they were given a new family name: Lansky. Four years later, in July 1915, on a hot summer day in the poor workers’ quarter of the Lower East Side, the Lanskys celebrated the bar mitzvah of their youngest son, Meyer, in one of the many synagogues in what was then the world’s largest Jewish shtetl. Among the many guests who surrounded the boy in celebration was the poor tailor Max Lansky, Meyer’s father, who proudly recited the bar mitzvah blessing,ברוך” שפטרני מעונשו של זה.” This verse, which every father recites for his 13-year-old son upon his bar mitzvah, translates as, “Blessed be he who releases me from any responsibility for my son’s wrongdoings.” It wasn’t until five years later that everyone understood why Mayer’s father was so relieved that he had recited this particular blessing. In 1920 the United States — drunk with power after its World War I victory and drunk on its new status as an empire — wished to establish a new social order. Not only would the country be responsible for the wellbeing of its citizens, but it would also be responsible for policing its people’s tendency toward self-destruction. 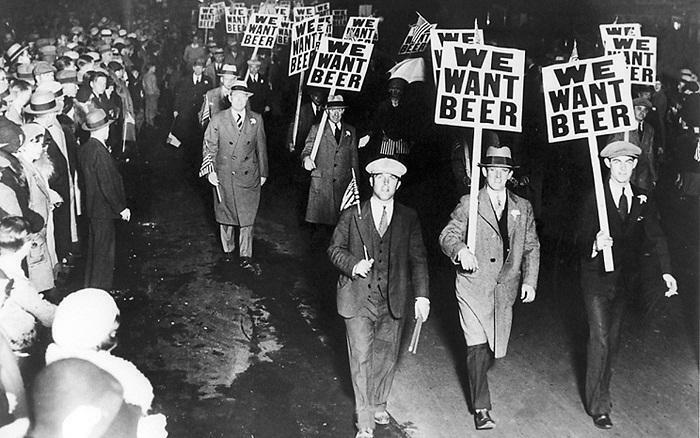 The result was prohibition, which arrived on January 16, 1920. It did not take long for some 200,000 illegal bars and taverns — known as speakeasies — to open all across the country. Smuggling networks were formed nationwide, and New York — with its two million Jews — became the capital of Jewish racketeering. They were a party of seven. Of similar age and ambition,, they seized upon prohibition as their opportunity to get rich. Filthy rich. 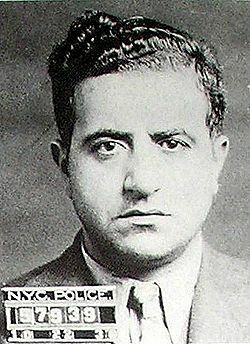 Louis “Lepke” Buchalter, Benjamin “Bugsy” Siegel, Arthur “Dutch Schultz” Flegenheimer, Charles “King” Solomon, Max “Boo Boo” Hoff, Abner “Longie” Zwillman and the undisputed leader of the gang — Meyer “Little Man” Lansky. The short kid from the Lower East Side grew up to be a financial crime expert and co-founder (together with his Italian friend Lucky Luciano) of the National Crime Syndicate. This board of gangsters formed strategies and settled conflicts while divvying up the country into territories controlled by hierarchies of organized crime. 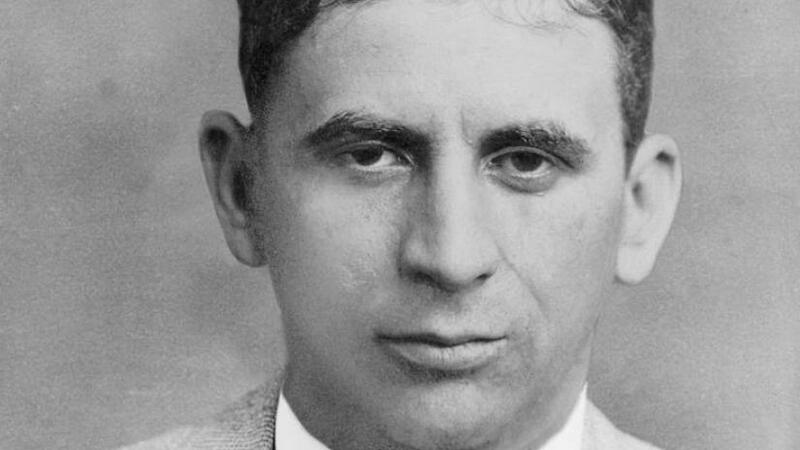 Meyer Lansky was the brains behind the syndicate. An FBI agent once remarked that Lansky could have easily been Chairman of the Board of General Motors, had he chosen a legitimate career. 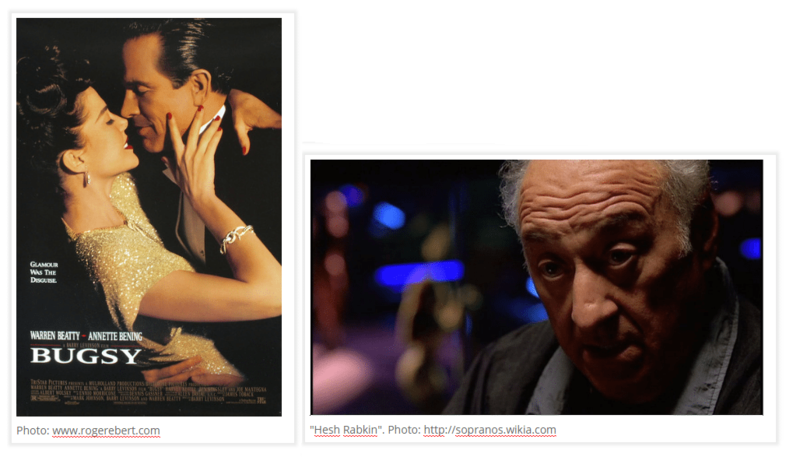 Lansky, however, was attracted to the romantic life of crime. In time he became known as the mafia’s accountant, thanks to his extraordinary talent for earning money. Skilled at more than numbers, he also drafted the syndicate’s four commandments: bribery is better than bullets; anonymity is better than the spotlight; honor your word; and violence is a poor substitute for smarts. Though Lansky theoretically turned to violence only as a last resort, the syndicate nonetheless formed a unit of Jewish and Italian gunmen. This team was headed by Albert “the Mad Hatter” Anastasia and Sam “Red” Levine, an observant Jew who would not kill on the Sabbath. Red murdered his victims by stabbing them in the temple with an ice pick, a method he himself invented. The gunmen would meet in the back room of an all night candy store in Brownsville to discuss baseball and assassinations. Known as “Murder Inc.,” this unit was active for ten years, during which time it committed some 700 homicides. It is among the most murderous gunmen groups in the history of the mafia. 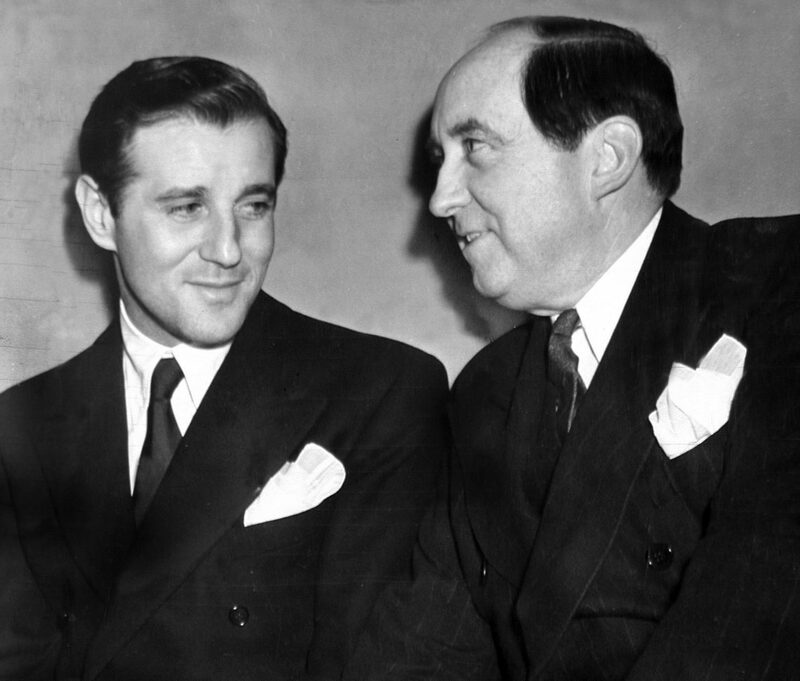 Other Jewish members of the syndicate included Abner Zwillman, known as the Al Capone of New Jersey, and Benjamin “Bugsy” Siegel. Siegel and Lansky were the most infamous Jewish criminals of the 20th century. When they formed their group, Lansky and Siegel were just 19 and 15 years old, respectively. Lansky was the brains and Siegel the brawn of the operation. Siegel was handsome, cruel and hot tempered. “He would break an arm for two dollars, and kill for fifty,” observed one New York detective. Siegel’s motto, “Live fast, die young and leave a good looking corpse,” came to fruition when, after building the gambling city of Las Vegas, he was killed by hit men at the age of 40. The image of the Yiddishe Momme and her gangster son was not merely anecdotal. In America, Jewish gangsters evolved from families of poor immigrants. They wanted to do right by their parents and pay for their children’s education. Crime was a means of achieving the American dream – enabling a child to graduate from medical school or become a scientist who might one day receive the Nobel Prize. There were no Jewish “Famiglias.” It was never “the Lanskys” or “ the Siegels.” Jewish gangsters kept family separate from business. In the 1930’s the Nazi ideology that swept across Europe influenced Uncle Sam as well. Hitler’s “German American Organization” spread Nazi propaganda and held rallies in New York to promote Nazi ideals. Facing the anti-Semitic atmosphere, the Judge Nathan Perlman — a Jewish communal leader in New York — approached Lansky and expressed his belief that Jews should respond to these rallies with force. Lansky, emboldened by the plight of his Jewish brothers in Europe, was more than willing to oblige. Perlman had only one caveat: no casualties. Lansky agreed and immediately called the professionals of Murder, Inc. Judd Teller, one of New York’s Yiddish reporters, observed, “It was like the plague of the firstborn.” Years later Lansky said, “We didn’t want them to think that Jews will always sit idly by and take insults.” Indeed, the men were very effective. Arms and legs were broken, ribs were cracked and heads were smashed, but Lansky kept his promise – there were no fatalities. In 1946, the Jews of the United States woke to horrific news: six millions Jews had been murdered in Europe. Lansky and his Jewish colleagues, believing more than ever in the need for a Jewish homeland, felt compelled to aid their brothers and sisters in Palestine. They wanted to assist by purchasing boats, funding survivor rescue missions across Europe, bringing displaced persons to Israel, and furnishing weapons to Palestine’s underground Jewish army. After all, when it came to arms, Lansky and his colleagues had plenty. Lansky dedicated himself to this new mission and ordered all ranks to donate their share. At that time, Ben Gurion’s representative, Reuven Dafni, was sent to Las Vegas and met Lansky’s man, Bugsy. “Are you telling me that the Jews over there are actually fighting?” Bugsy asked. When Dafni answered in the affirmative, Siegel leaned forward, his face almost touching Dafni’s, and asked, “Fighting to kill?” “Yes,” Dafni replied. “Then I’m with you,” said Bugsy, and the next day Dafni received a suitcase with tens of thousands of dollars at his hotel. President Truman’s post-World War II embargo on all weapons shipments to the Middle East did not stop the syndicate. Lansky and his friends turned to Albert Anastasia who controlled the New York dockworker unions. He was one of five Italians in the syndicate and Lansky’s personal friend. Anastasia took care of secretly loading ships destined for Palestine and sinking ships that that were suspected of smuggling arms to the Arabs. Relations between Lansky and Israel ended bitterly. After Lansky retired, the American authorities finally prosecuted him for tax evasion. Lansky issued a request to come to Israel in order to escape trial. But Yosef Burg, Israel’s Minister of the Interior, rejected Lansky’s application.